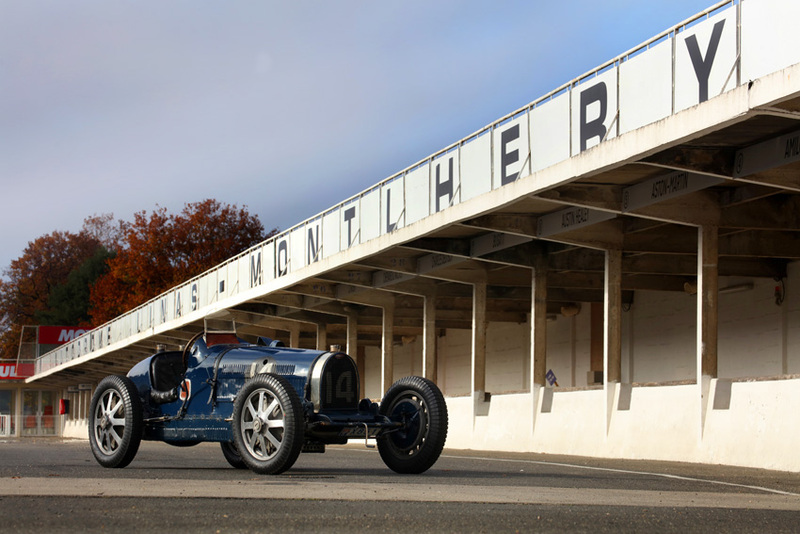 One of the greatest surviving banked circuits in the world is at Montlhery, south-west of Paris in France.On a misty November morning we arrived to photograph an icon of pre-war motor racing, the Bugatti T51 . There are just 40 of these extraordinary racers left including cars that were converted from the earlier Type 35 and this actual car competed here for the French Grand Prix in 1931 driven by Marcel Lehoux.The race went on to be won by another T51 driven by Monagasque Louis Chiron with Achille Varzi finishing close behind in also in a T51. 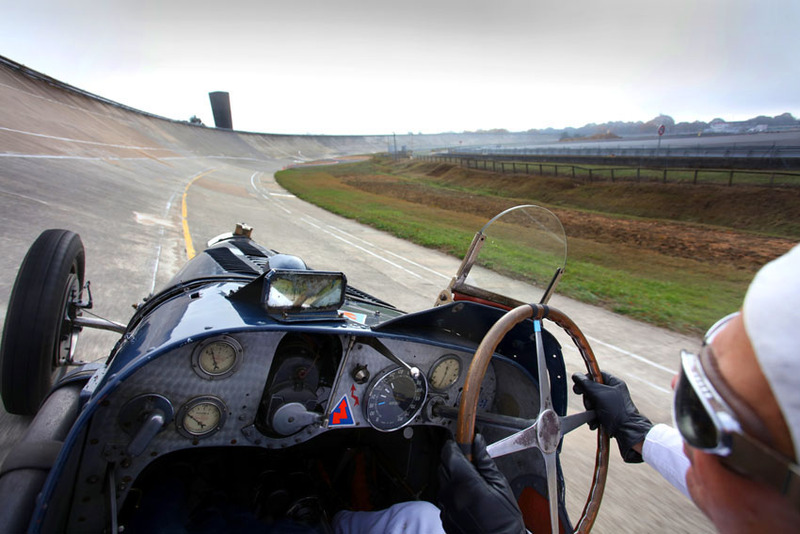 One of the highlights of my job is that I often get to ride alongside to shoot a driving image and this time I got three laps, one with the mechanic on a warm up lap and two more with journalist Mick Walsh .The feeling of speed is greatly enhanced by the bumpy ride,exposure to the wind and glorious sound and smells of a pre-war Bugatti at full chat…..truly magical. Riding up the banking is harder than it looks and a battle with the steering ensues to keep the car running straight around the track.No sooner had I put my camera down ,it’s time to come into the pits and we peer under the bonnet at the beautiful twin cam engine. 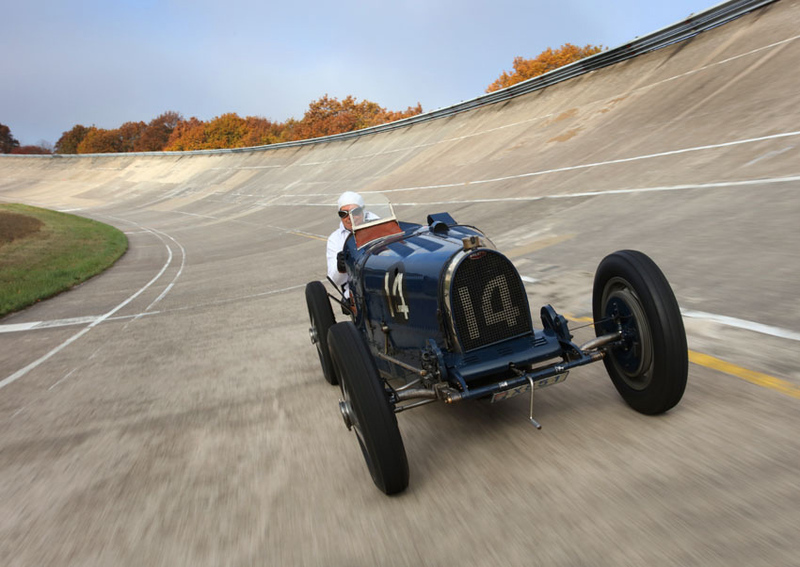 The story goes that Ettore Bugatti saw the American Miller racing twin cam block and copied it back in 1929 and the T51 was born. 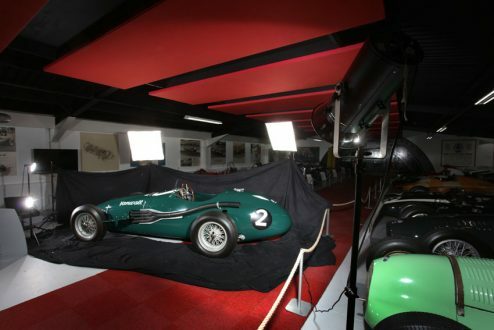 The late Tom Wheatcroft built up an incredible collection of racing cars many of them Grand Prix or Formula One cars at the Donington Circuit which he owned. I have a regular feature to feed in F1 Racing magazine and have built up a large archive of F1 cars photographed in the studio style but need to keep adding to it all the time. 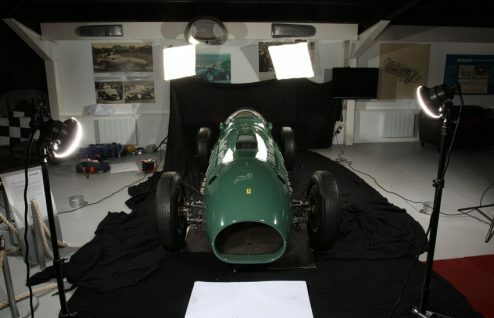 The museum ,which is open to public, is much depleted these days but there is still some gold to be found.I’d picked out the Ferrari Thinwall Special developed by Tony Vandervell on an Indianapolis chassis as campaigned by Mike Hawthorn,Peter Collins and Nina Farina amongst others and featuring a 4.5 litre V12 24 spark plug engine. 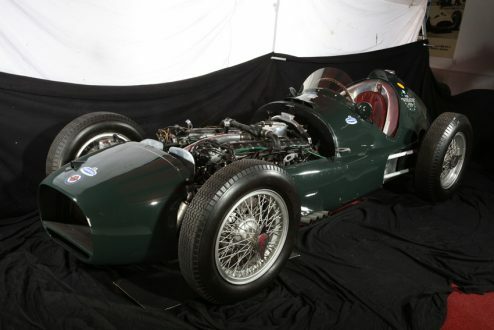 Also the Vanwall VW2 from 1955 was on my list.It raced nine times that year with Harry Schell and Ken Wharton at the wheel and featured an unusual cylinder design based on the Norton motorcycle engine developing over 300bhp. Finally I chose the incredible BRM V16 Mk2 P30 …a unique screamer of just 1.5 litres but supercharged was capable of delivering well over 500 bhp at 8000rpm. It won on it’s first outing in 1954 in the Chichester Cup at Goodwood.